Exactly what the Celtics need. Though he is currently dominating in ​New Orleans, social media would have you believe that Pelicans superstar Anthony Davis is two seconds away from being traded to what would become a superteam upon his arrival. The ​Lakers and ​Knicks have all been tossed around as potential landing spots for the Brow, but one scuffling team seems most likely to add his services (per the rumor mill). Naturally, Boston’s WEEI Radio is reporting that Davis could very well end up in Boston when it’s all said and done. 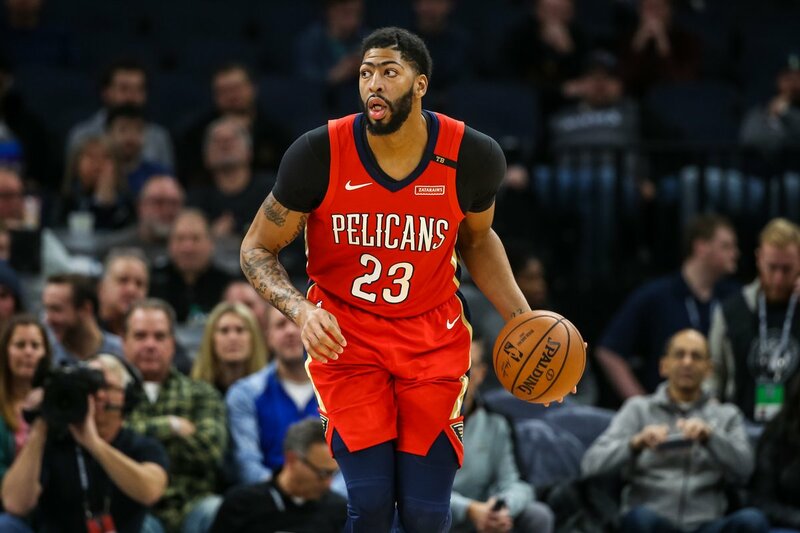 ​​Insider Chris Sheridan believes that the Celtics have the best chance of any team pilfering Davis out of the Big Easy, with the Lakers, Knicks, and 76ers also potential contenders. Given the fact Boston could have as many as four first round picks in the 2019 Draft, as well several proven assets on their bench, it’s a real possibility. The 25-year-old Davis is following up a stellar 2018 with his best statistical season as a pro. He is averaging 26.6 points, 12.7 rebounds, and a career high 4.9 assists per game. His 2.9 blocks are second in the ​NBA. He’s also exactly what the Celtics are lacking. Davis could easily be ranked as the best big man in the NBA. Given the uncertainty surrounding Philadelphia and Toronto, as Jimmy Butler and Kawhi Leonard are technically still free agents, re-signing Kyrie Irving and pairing him with Davis could make Boston a machine that churns through the weak Eastern Conference and reaches the finals with regularity for a half-decade (​pending Kyrie’s early retirement).